Sling Psychrometer, offered by us, meets the globe program protocols for relative humidity. Safe and easy to use, this Sling Psychrometer allows for easy conversion of wet and dry bulb readings to relative humidity. It eliminates the need for conversion tables for measuring relative humidity. 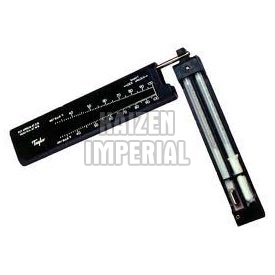 Our Sling Psychrometer comes in a durable plastic case and features a slide rule, and a red spirit thermometer.